David Israelite - Erin M. Jacobson, Esq. This article was first posted on Forbes.com. It’s been a year since I wrote about Music Industry Cases to Watch in 2017 and, unfortunately, not much has changed. Here’s an update on what’s happening in the music industry and what to keep an eye on for 2018. What You Might Expect: It could go either way. How It Could Affect the Industry: If the DOJ wins, then the music industry might need to change its business model and overhaul all of its longstanding licensing practices. If ASCAP and BMI win, then the music industry will be able to proceed with doing business as it has been for decades and continue making efforts to improve the existing system. Background: As I previously explained here, the Copyright Royalty Board (“CRB”) held hearings to potentially update the mechanical royalty rates paid to songwriters and publishers for reproductions of compositions. The current mechanical royalty rates for physical products and digital downloads are 9.1¢ for compositions five minutes or less in length, and streaming rates are at fractions of a penny. The National Music Publisher’s Association argued for rate increases on behalf of songwriters and publishers, while digital service providers (like Google, Spotify, Pandora, Amazon and Apple) offered alternative rate structures that may lower rates overall. The CRB recently raised some rates for master recording owners, but the determination on mechanical royalties has not yet been revealed. Background: Spotify is an interactive streaming service required to pay both mechanical and performance royalties. As detailed here, Spotify has already agreed to several settlements for failure to properly pay mechanical royalties and has been sued several times for the same reason, with those cases still pending. Spotify made the argument that it shouldn’t have to pay mechanical royalties, despite previously admitting that it needed to do so. What You Might Expect: Spotify’s argument is flawed in many ways, but their $16 billion valuation may hold some clout, or at least the funds to continue pushing their position. The music industry hopes to quash their arguments, but acknowledges that the lawsuits are just Band-Aids, and is striving to implement a more efficient system. How It Could Affect the Industry: A legal decision set in Spotify’s favor could mean massive losses of income to songwriters, music publishers, and the music industry as a whole. Hopefully, the streaming giant and the music industry will find a way to work together for their mutual benefit. Background: It’s old news for music industry folks that a large number of record labels are owned by just a few major corporations. However, acquisitions of composition catalogues are now hitting the spotlight after traditionally not garnering much attention. The catalogue purchase and sale market is booming, and those of us in this space (like me) are regularly looking at either buying or selling catalogues, depending on who we are representing. Many music publishing companies are also raising a lot of money from outside investors in order to gobble up other substantial catalogues. There are even rumors of music publishing giant EMI for sale at a $3 billion valuation. What You Might Expect: There will be a lot more of these deals happening in 2018. What It Means for the Industry: The majors will continue to buy the indies, and the larger indies will buy competitors and smaller companies. The music publishing world might get smaller, but there will always be more copyrights to go around. The downside is that the investors coming in with the funds are usually not in the music industry, meaning that the music publishing industry may now have to answer to venture capitalists, which has been a problem for years with major record labels. The good news is that these non-industry investors will need current industry experts to manage the catalogues they have purchased, continuing jobs and revenue flows throughout the industry. Special thanks to David Israelite, President and CEO of the National Music Publisher’s Association (NMPA) for graciously providing quotes exclusive to this article. 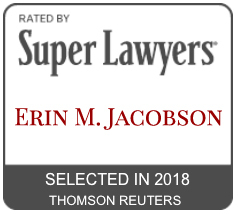 Erin M. Jacobson is a music attorney whose clients include Grammy and Emmy Award winners, legacy clients and catalogs, songwriters, music publishers, record labels, and independent artists and companies. She is based in Los Angeles where she handles a wide variety of music agreements and negotiations, in addition to owning and overseeing all operations for Indie Artist Resource, the independent musician’s resource for legal and business protection. Ms. Jacobson also serves on the boards of the California Copyright Conference (CCC) and Association of Independent Music Publishers (AIMP).